Fedor Emelianenko had retired from the MMA and Brock Lesnar had to quit the WWE because he had a hard time getting up from his diverticulitis post tour with UFC. But now UFC President Dana White was recently rumored to be trying to put the two into a match and it remained a silly rumor only. 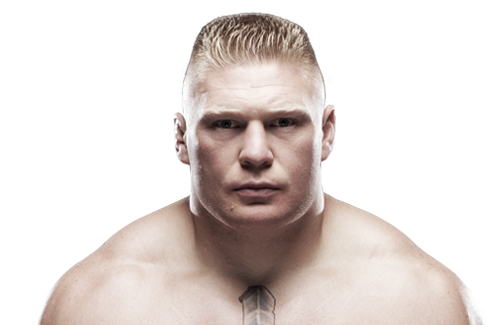 But the question is, would WWE have let Brock Lesnar take the opposition if the match ever surfaced? On speculating, some of the factors have favored Lesnar to be placed against Fedor by WWE. The match could have led to a lot of profit for WWE because both are the old wines. They could also go ahead to have kind of collaboration with MMA because through this match, even MMA players could get some limelight for themselves which would have boosted their careers. Sponsorships from MMA could also pour in if the match between Brock Lesnar and Fedor Emelianenko could be materialized. Chances for the audience from the MMA being added could also have become likely. This way, the monetary flow would have become better due to these two talents which would have helped them raise heir bank balance to finance the other shows which run under the name of WWE. Besides money flow, the match and WWE itself could earn a lot of publicity. It would have been a symbiotic deal. Both Brock Lesnar and Fedor Emelianenko could have extended their fan base with the fight. Just like the Rock who now carries his recently won WWE Championship title along with him at red carpets of various events. Cross promotions of MMA and WWE would have also resulted because it would have been basically a cross-over match where the two would be utilizing their own honed skills and would have thrilled the media and would have garnered mainstream media attention. Recently WWE has been facing a downturn in their RAW ranking. Similarly, the viewership is also going down. Hence they are looking up to Brock Lesnar’s appearances and his overshadowing Ryback at the Hell in a Cell can help WWE lift up its number of viewers per show. This is the probable hum for the week. WWE is now packed up with shows like Survivor Series, Royal Rumble and WrestleMania. The return of Brock Lesnar (who is currently taking days off) is the only big bet right now for WWE to heat up the biggest shows for the current year. However, Brock Lesnar feels that the schedule would be quite hectic if he were to appear at all the shows of WWE so he has made a contract with WWE so that he does not have to strain himself too much. Now, WWE has to adhere to the contract and manage his schedules that way so that the contract is not breached in any way. The only way to do so is to arrange for pompous comeback for Lesnar that will dazzle up the shows. WWE is also thinking of putting him on a showdown against Ryback so that the gloom of the absence is done away with in style. Although according to critics bringing Brock Lesnar back at the Hell in a Cell would have been given a good boost to WWE too but RAW is a better option than anything else as the officials want to make a glorious event for Brock Lesnar. To fit in the scheduled dates as per the contract, Brock Lesnar has been taking offs quite often. He had gone for a hiatus after he lost to John Cena and after he beat The Game. This current comeback hence matters a lot. Following the lead set by Brock Lesnar, the former World Wrestling Entertainment or WWE Undisputed Champion, Dave Bautista, known better by his ring name Batista is ready to break into the Mixed Martial Arts world as he looks certain to make his Mixed Martial Arts debut on the 6th of October, at a CES Mixed Martial Arts event, slated to be held in Rhode Island, New York. This has been a long time coming for the former WWE World Heavyweight Champion but now, TMZ claims that it is closer to being a reality. The 43 year old will go head to head against Rashid Evans (not Rashad Evans of the Ultimate Fighting Championship or the UFC) at the event and it is being believed that he has also been granted his license for the fight. Evans is an amateur in the Mixed Martial Arts circuit and has a win-loss record of 1-2. TMZ also went on to claim that there are talks about the event being telecast live, but there has been no confirmation, either of the participation of Batista or of the television slot. When Brock Lesnar left the WWE at the peak of his career, there were talks that many more WWE Superstars would follow suit for a more lucrative business, which the Mixed Martial Arts circuit is, but that hasn’t happened so far and if Batista does make his debut inside the Octagon, he will become the first WWE wrestler since Bobby Lashley to trade the four-sided ring for the octagon. It was claimed in 2010 that Batista was close to signing with Strike Force, but since its purchase, there was no further word on that. However, with Brock Lesnar having returned to the WWE and Batista long been away, there is not much loss for the WWE as well.